ERD is an engineer owned and operated commercial and industrial electronic repair company. Providing repair services to a broad range of industry and government sectors, we anticipate that our current rapid growth will continue into the foreseeable future. Interestingly, our growth has been largely achieved by word of mouth or via Internet marketing — ERD has no sales force. 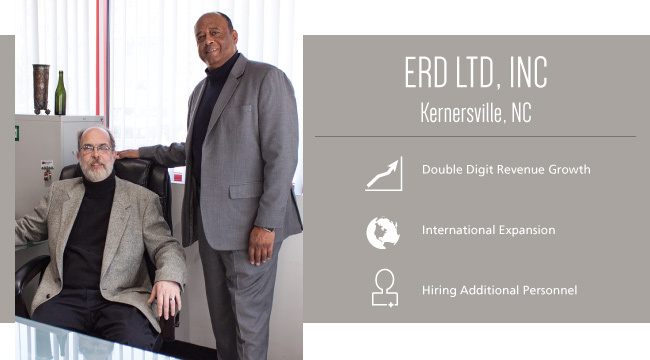 In just 3 years, ERD has expanded from a customer base of 2,500 and an international presence of only 5 countries to over 5,000 clients in every state in the Union and more than 65 countries, including 26 of the Fortune 100 companies in the world. It was through our association with and guidance from the SBTDC and its partner agencies that ERD was able to ignite growth. Although we repair all types of industrial and commercial electronics, we are most known for our ability to repair legacy (older) electronics that others claim cannot be repaired. To grasp the scope of this market, you must understand that anything currently being made or moved in the world today is made or moved by equipment that is over 14 years old. 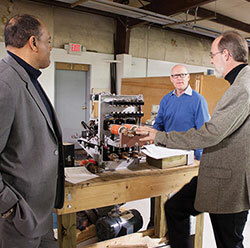 Every repair done in our 15,000 square foot building comes with our industry leading three-year warranty. We usually repair an electronic unit for less than 40% of the cost of replacing it. 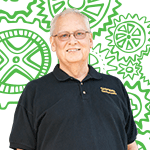 Our customer base includes companies like Ford, GE, GM, Cargill, Pepsi, Coca Cola, Chevron, Shell, Sea World, Houston Texas Water, Texas Instruments, Hoover Dam, Exxon, Boeing, Washington Post, Duke Energy, US Supreme Court, and all branches of our military. Q: What is your history with the SBTDC? We started working with the SBTDC from the very beginning in 1995. We developed a business and marketing plan and within a year and a half worked with SBTDC to obtain an SBA loan for expansion. In 2009, in what we call the “restart phase”, we went to the SBTDC again. This time around, we eliminated the need for a sales department and designed a cutting edge SEO strategy with social media. The assistance of Owen George of the SBTDC has and continues to provide us with vital information that helps us evolve as a company. He has been a virtual member of our team. 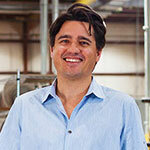 In 2013 he guided us in securing an SBA loan to purchase our 15,000 square foot facility. Q: How has the SBTDC been able to help? The SBTDC has been instrumental in guiding and moving us into the proper channels to achieve the growth that we have experienced. Our international presence began the day Owen called to let us know about the possibility of obtaining an NC Step grant to support travel to a trade show in Thailand. Owen walked us through the process to apply for the grant and coordinated communications with SBTDC partner agencies, NC Department of Commerce and US Commercial Services. Since participating in the Thailand trade show, we’ve traveled to Hong Kong, Beijing and South America with support from grants that SBTDC helped procure. This is the perfect example of how the SBTDC counselors are constantly thinking of ways to use the resources at their fingertips to help the small businesses in their community grow and thrive. Q: What impact have you seen on the business? We have seen high double-digit revenue growth and continue to hire additional employees and anticipate hiring four more employees before the end of 2014. In addition, international expansion has been extremely beneficial for us. Those trips have increased our client base and also effected some surprising changes. For example, we noticed on our trips to China that their lighting has been converted to LED bulbs. We have now switched all of the lighting in our building to LEDs, which has resulted in a 50%+ cost saving in energy consumption. Story originally featured in the SBTDC’s 2013-2014 Annual Report.